Pads 2 work in the same way the original Pads do – just play them whenever you want texture, ambience, and warmth. 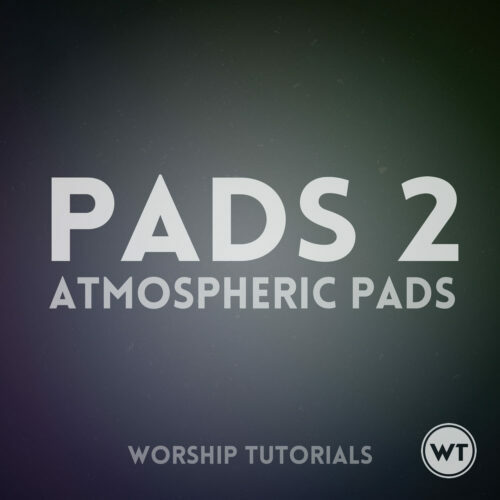 These Pads sound significantly different, though – we’ve titled them ‘Atmospheric Pads’. When you hear the sound samples below you’ll understand why. They’re full of texture and dimension. Pads are the foundation – the glue – that hold everything together. 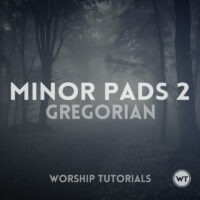 Play them under any music or worship element that you’d like. They’ll bring a warmth, depth and fullness that is hard to describe, but you’ll know it when you hear it. Just pick the key that you are playing in and let the pad play underneath. Listen to the demos below to hear exactly how they sound. Available in all 12 major keys and not progression specific – no click track necessary. All 12 files included, plus 3 additional files – F (low), Gb (low), and G (low). These files are in the same key of the other F, Gb, and G files, but are in a lower register. You have the ability to choose which sound best fits your application. The previews above are 2 minute samples. The actual files are 20 minutes long each. 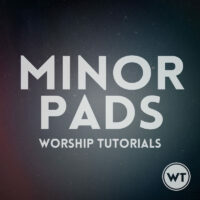 Pads provide the music base and/or sound bed for many types of worship environments. They provide the atmospheric ambiance that lies beneath everything else. They fill in the gaps and help the music sound big and full. 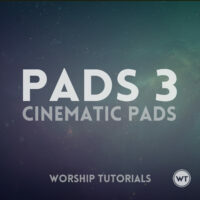 During intimate times of worship, pads bring an element of emotion and warmth. Just hit play in the previews above and you’ll know exactly what we mean. These pads are not progression specific. Simply play the pad in the key that your song is in, and any progression in that key will work. Give it a try – play the samples at the top of the page and play any progression in the key of the pad you are playing. The pads will sit underneath and sound beautiful. You can play on top of these pads with any instrument – keys, guitars, etc. When you finish a song, let the pads continue. Let them play during prayer moments. Bring them in towards the end of a moving sermon or talk. Crossfade between pads in different keys for smooth transitions from a song in one key to a song in another key. During your worship sets, you can have a music bed that never stops playing, which makes for a much more cohesive worship experience. In our worship services, during intimate times of spiritual direction and worship, we often combine a warm keyboard pad with guitar swells. We have recreated that sound with these pads. They will fill the space by themselves, or sit nicely underneath a band mix. Files are available in 320K mp3, which works great for live use. If files are too large (WAV), they can tax system resources on your computers or devices that you are using for playback. These high bit rate mp3’s will sound great and won’t crash your devices. 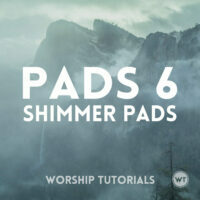 Because these pads are in WAV and mp3 format, you can use them with anything. Load them into an iTunes playlist. Bring them into Ableton Live, Logic, Pro Tools, or any other DAW. Play them straight from your smartphone or tablet. 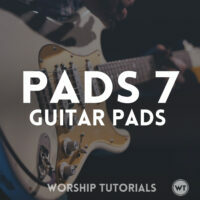 Whatever workflow your band or church uses, these pads will fit. How do I download the pads? When you purchase the Pads, you’ll get an email with download links. You’ll get a link to a large (~500mb) .zip file that contains all 12 mp3 files, and you’ll also get individual links to each mp3 file separately. If you download the .zip file, you don’t need to download the individual file, as the .zip file contains all the files. You can also log into your account on the My Account page and download any downloadable products that you’ve purchased. If you have purchased the Pads but are having problems downloading them, please send me an email and let me know. I’ll get back to you ASAP with some other download options. You cannot download the pads directly to an iOS device. You will first need to download them to a computer and then transfer the mp3 files to your mobile device using iTunes. You have more software/apps options with Android, but the process remains mostly the same. How do I play them during worship? Play them from ProPresenter (or MediaShout or similar software). Here is a tutorial showing how to play them in ProPresenter. Play them from a computer using an iTunes playlist. Your computer must have audio running to your board or FOH. Play them from your iPhone, iPad, or other mobile device. 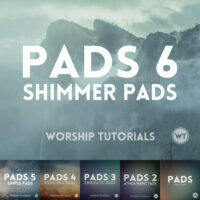 You can use the standard built-in music player, but if you’d like something that does crossfading when you skip to the next pad, check out the Worship Team Director for iOS (free). Trigger them in Ableton Live (or similar software). To get a crossfade type effect, apply a reverb and delay on the file – when you switch to the next pad or patch, you’ll get some trails from the current file. *please be patient when downloading these files. You’ll get a .zip file with all twelve keys included (each as individual files). The file size is 490mb, so downloading may take some time.